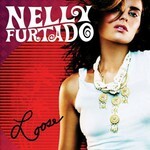 Loose is Nelly Furtado’s follow up to 2003’s criminally underrated Folklore in which she confidently immersed herself in mild electronica, sombre acoustic arrangements and worldbeat. Unfortunately Folklore was a commercial disappointment, falling victim to a corporate merger (DreamWorks to Universal) and limited promotion. It also contained very few radio friendly tracks, unlike Furtado’s 2000 debut Whoa Nelly! which spawned mega hit I’m Like A Bird. Nelly Furtado is back with what she calls her "fast and fun" third album, Loose. Teaming up with eclectic musical icons like Pharrell Williams, R&B super-producer Timbaland and Coldplay's Chris Martin, Loose is an album some might be shocked by. Sure, there are some pop gems that hark back to the classic style of I’m Like A Bird and Powerless but this is a much more ambitious effort. It’s principally a beat driven collection, most capably described by Furtado herself as “punk hop”. Good examples of Nelly's new vibe are the first singles Promiscuous and the irresistible club track Maneater. Both these tracks barely resemble any of her previous. Maneater teams a huge dirty synth lead with brassy vocals and R&B beats. Without doubt the best song Furtado has ever put her name to, and sure to see her popularity soar in the coming months. Promiscuous (a duet with Timbaland) offers another adventurous sparring match between two distinct artists that boasts a catchy chorus and another addictive beat. On the whole album there’s big amount of perfect ballads, such as mid-tempo Say It Right, which Timbaland's excellent production makes unforgettable. Unlikely as it sounds, one of the highlights is album closer All Good Things, a sweet collaboration written with Coldplay's Chris Martin, which marries acoustic melancholy with Timbaland's trademark inventive programming. This track could be even better if Martin’s voice wasn’t removed from the final recording but completion turned out excellent too.